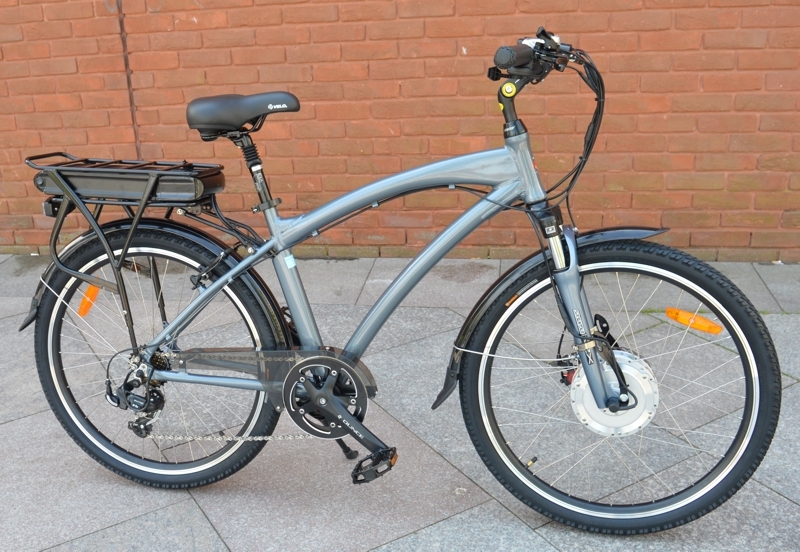 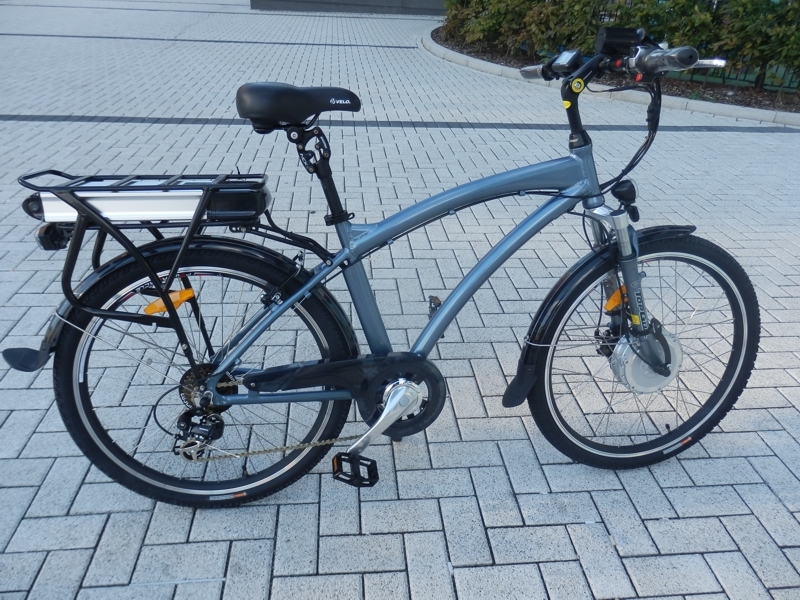 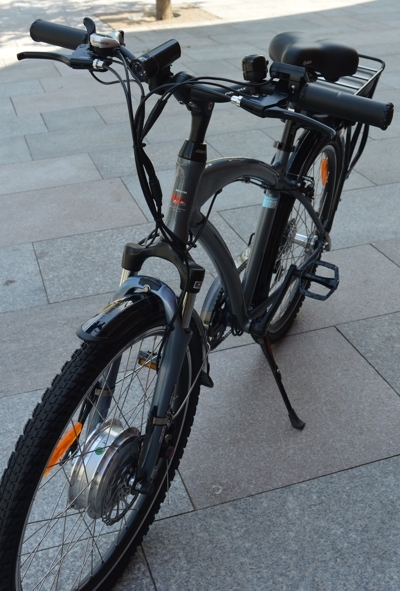 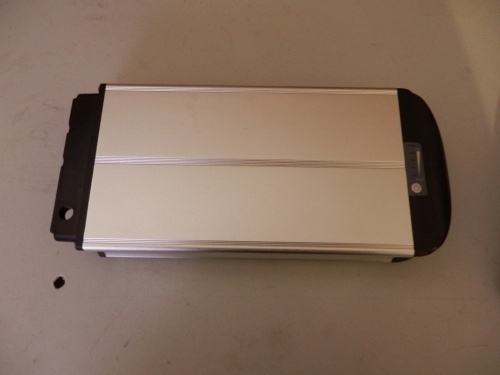 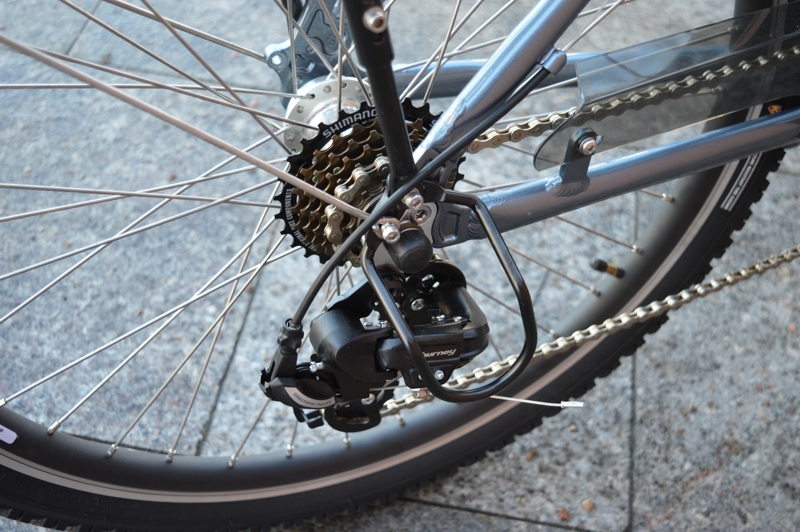 Big front drive, 36V 15A Samsung cell battery, 7-speed, comfort steady ride. 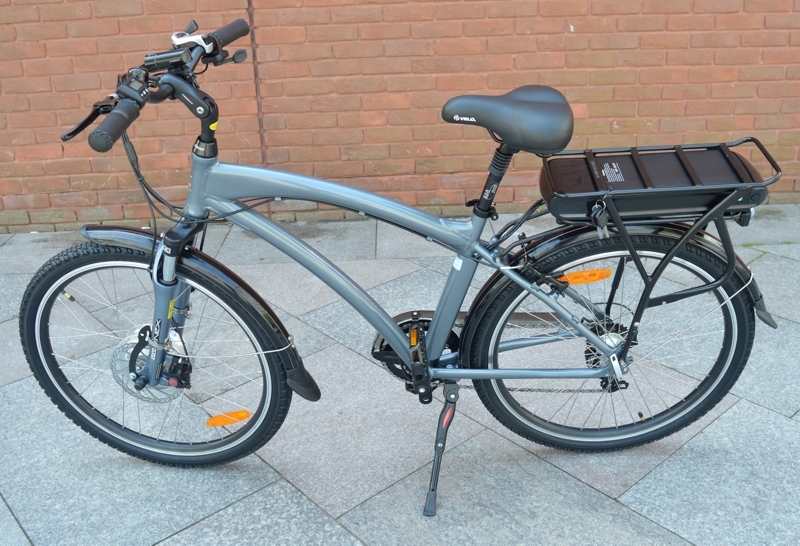 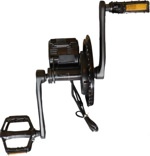 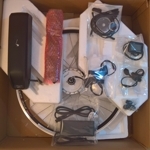 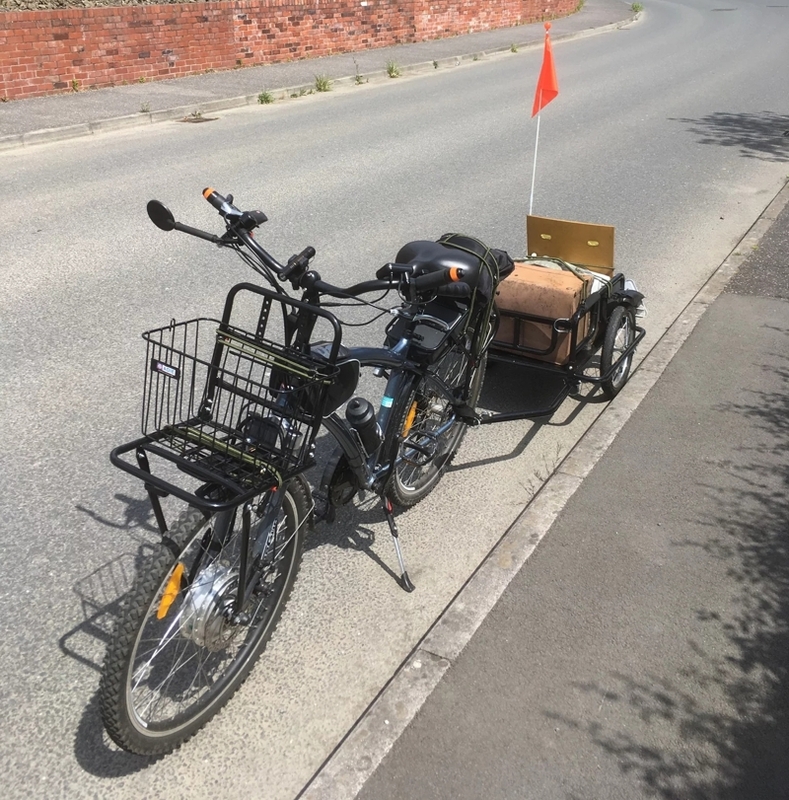 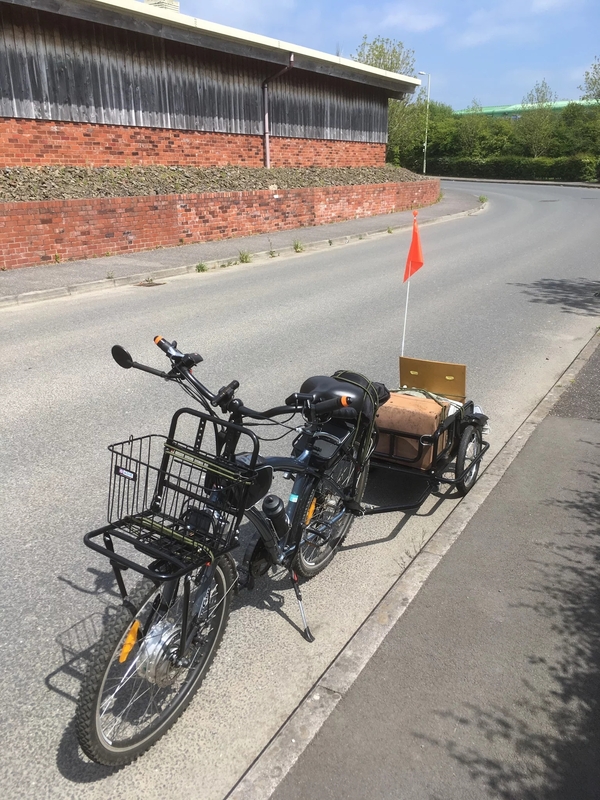 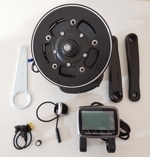 Almost a motorbike, with steady, comfy ride and great hill climbing the upgraded Woosh Big Bear has a big front drive, 36V 15AH battery, LCD with 5 levels of assistance, new sine wave controller, adjustable stem, 60mm travel forks. 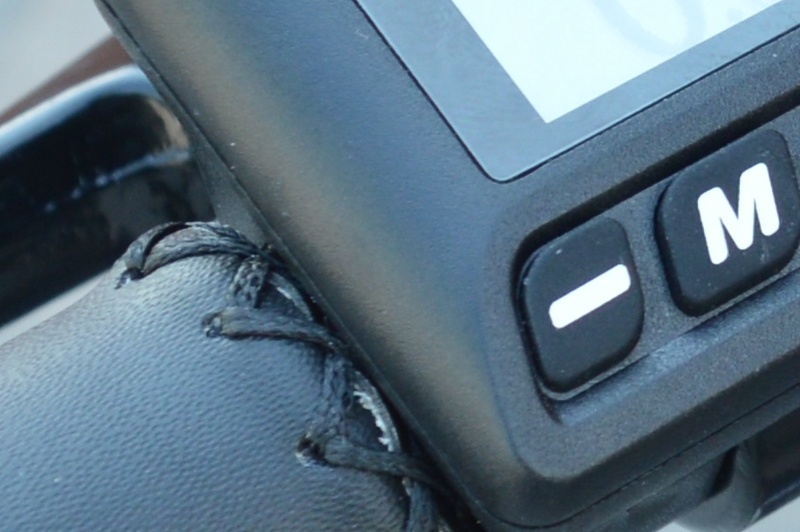 If you don't want to pedal, use the thumb throttle (by simply pushing the throttle lever with your thumb gently forward). 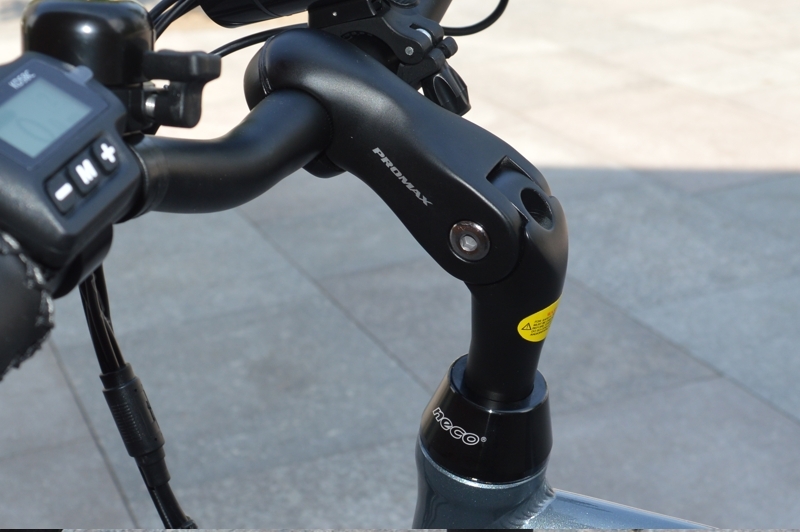 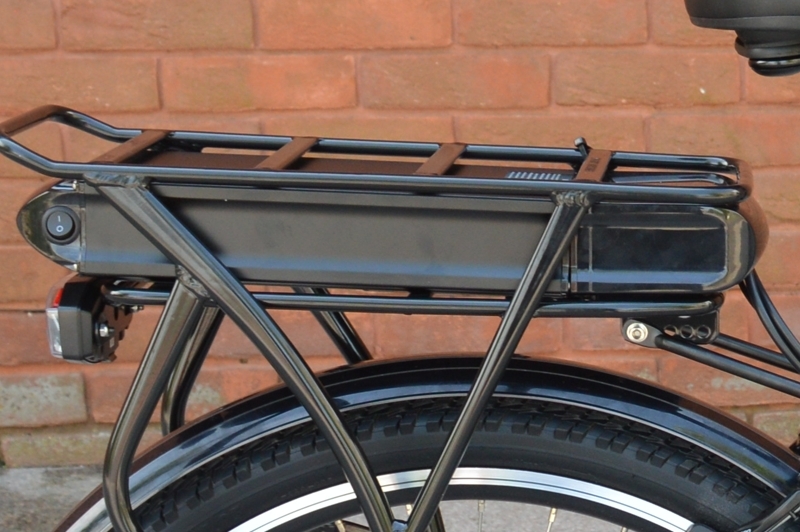 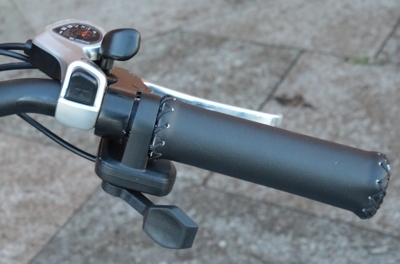 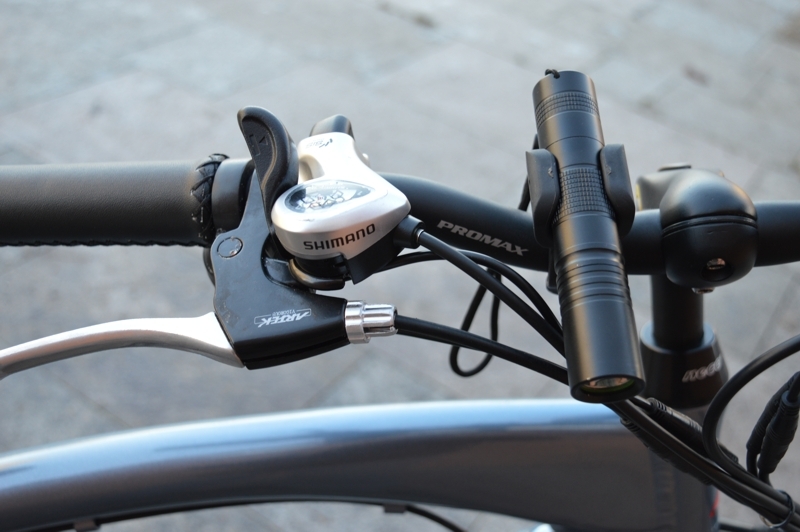 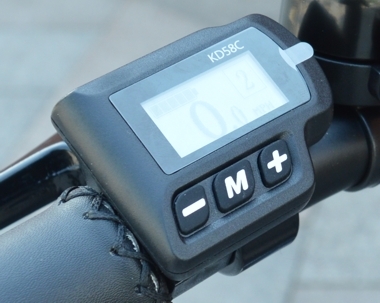 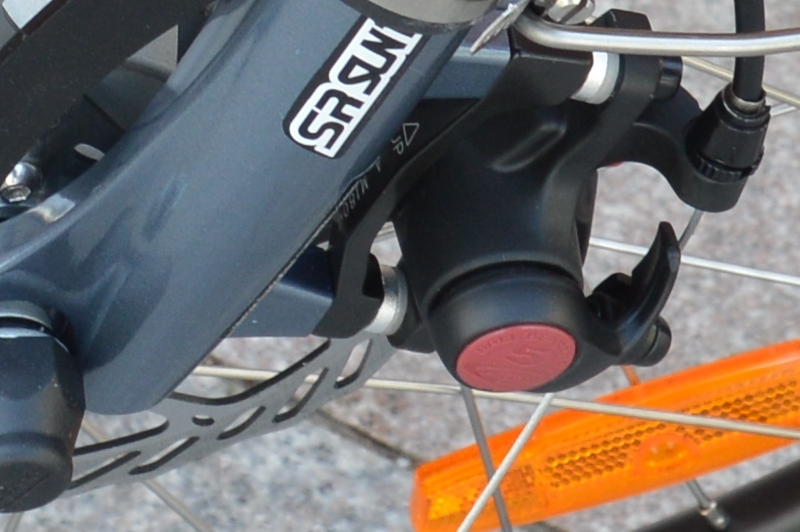 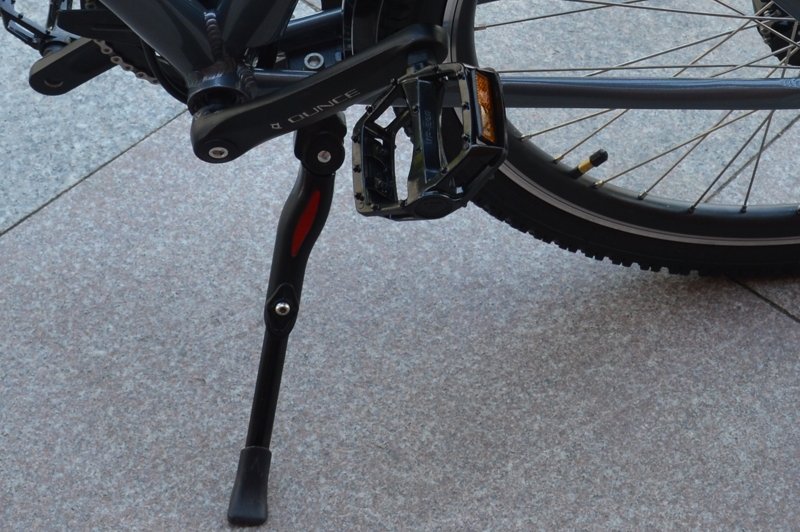 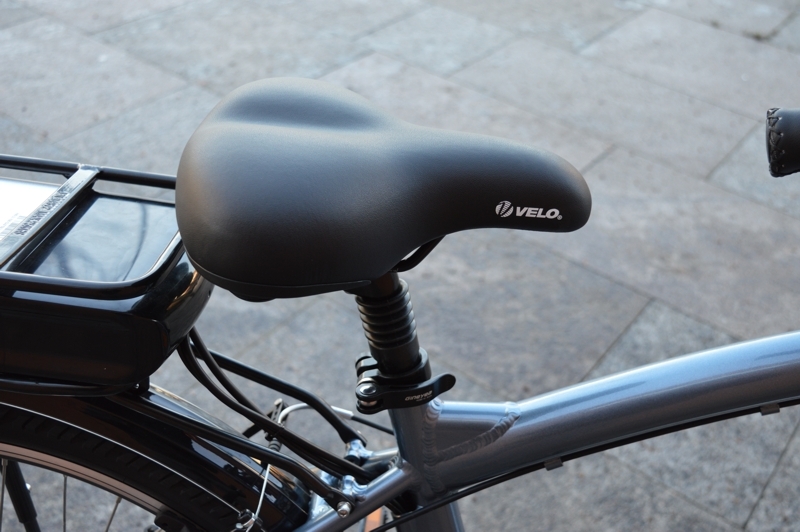 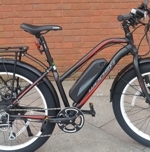 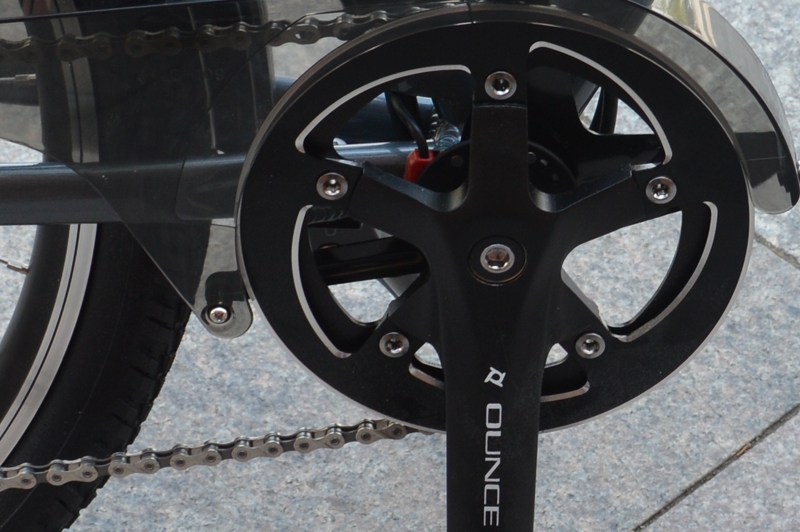 Read the pedelec forum review. Kevlar chunky tyres 26" x 1.95"
Awesome Bear from Marwood Hill with thanks.